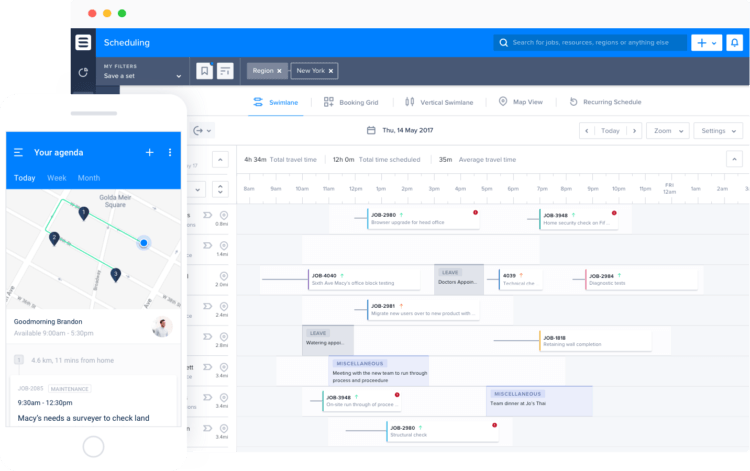 Atlassian previewed the next generation of its hosted Jira Software project tracking tool earlier this year. Today, it’s available to all Jira users. To build the new Jira, Atlassian redesigned both the back-end stack and rethought the user experience from the ground up. That’s not an easy change, given how important Jira has become for virtually every company that develops software — and given that it is Atlassian’s flagship product. And with this launch, Atlassian is now essentially splitting the hosted version of Jira (which is hosted on AWS) from the self-hosted server version and prioritizing different features for both. So the new version of Jira that’s launching to all users today doesn’t just have a new, cleaner look, but more importantly, new functionality that allows for a more flexible workflow that’s less dependent on admins and gives more autonomy to teams (assuming the admins don’t turn those features off). The core tenet of the redesign is that software development in 2018 is very different from the way developers worked in 2002, when Jira first launched. Interestingly enough, the acquisition of Trello also helped guide the overall design of the new Jira. Unsurprisingly, the influence of Trello is most apparent in the Jira boards, where you can now drag and drop cards, add new columns with a few clicks and easily filter cards based on your current needs (without having to learn Jira’s powerful but arcane query language). Gone are the days where you had to dig into the configuration to make even the simplest of changes to a board. As Regan noted, when Jira was first built, it was built with a single team in mind. Today, there’s a mix of teams from different departments that use it. So while a singular permissions model for all of Jira worked for one team, it doesn’t make sense anymore when the whole company uses the product. In the new Jira then, the permissions model is project-based. “So if we wanted to start a team right now and build a product, we could design our board, customize our own issues, build our own workflows — and we could do it without having to find the IT guy down the hall,” he noted. One feature the team seems to be especially proud of is roadmaps. That’s a new feature in Jira that makes it easier for teams to see the big picture. Like with boards, it’s easy enough to change the roadmap by just dragging the different larger chunks of work (or “epics,” in Agile parlance) to a new date. The Atlassian team also redesigned what’s maybe the most-viewed page of the service: the Jira issue. Now, issues can have attachments of any file type, for example, making it easier to work with screenshots or files from designers. Jira now also features a number of new APIs for integrations with Bitbucket and GitHub (which launched earlier this month), as well as InVision, Slack, Gmail and Facebook for Work. With this update, Atlassian is also increasing the user limit to 5,000 seats, and Jira now features compliance with three different ISO certifications and SOC 2 Type II. With a shortage of machine learning developers bearing down on the industry, startups and big tech companies alike are moving to democratize the tools necessary to commercialize artificial intelligence. The latest startup, Petuum, is announcing a $93 million Series B this morning from Softbank and Advantech Capital.